Takeda: WELCOME TO THE AGE OF STRIFE! 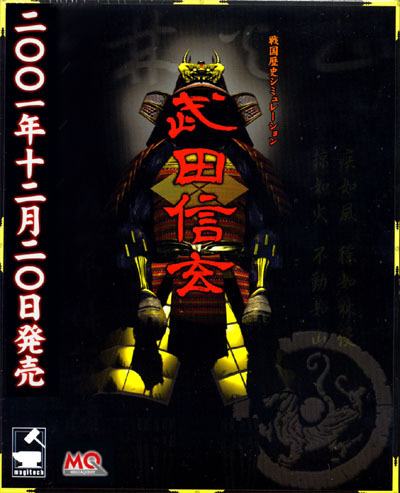 Takeda Japanese Version will be available in Japan on 20 December, 2001. Sept 10, 2004: Special thanks to Will Agi, a third-party Takeda editor version 2 is now ready for download! 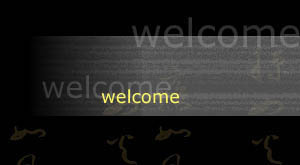 Dec 6, 2002: Special thanks to Will Agi, a third-party Takeda editor has finally arrived. This editor can change Takeda .Sav to make more cavalries, soldiers, and so on. Nov 15, 2002: Strength and Honor web site launched. May 15, 2002: Takeda Chinese version released in Taiwan and China. Feb 6, 2002: We are glad to announce that Takeda English Patch 2.0 has been released. It includes numerous new features and improvements, including: a new tournament style campaign, the ability to choose clans in random battles, three new generals in campaign 1, and a few more hotkeys. 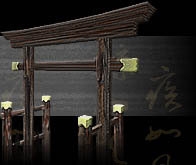 Jan 9, 2002: Takeda Japanese Patch 1.0 has been released. This patch has the same updates and improvements as the English version patch. To install, extract to the main Takeda folder (which is usually C:\Program File\Mi-Pic\Takeda). The first Takeda tournament is being organized! We are currently looking for participants. To enter the tournament post a message in the tournament section of the forum, or e-mail us. All participants must choose two clans prior to sign up (these will be the clans the player uses). Registration will end on Dec 26th. The first round of matches will be posted on the 28th, and the battles will begin on the 29th. We expect the competition to go on until Jan 7th (approximately). Nov 24, 2001: Takeda quick reference card has been added to the Download section. Nov 17, 2001: LoadedInc has posted an interview with Ryan Maclean, senior programmer. Click here to view it. Nov 12, 2001: A “Frequently Asked Questions” page has been added to the “Forum” section. Nov 10, 2001: StrategyPlanet has posted an interview with Takeda programmer Ryan Maclean. Click here to view it. Nov 10, 2001: A Japanese cinematic trailer for Takeda has been added to the Download section. Nov 3, 2001: The Takeda Gameplay Demo is now available from Fileplanet! Go here to download it from their servers. Nov 3, 2001: News, previews, articles and Takeda links are coming in all the time. Check out the reviews section for details. Oct 31, 2001: "Try the new playable demo of Takeda! Download section." Oct 29, 2001: "Get a taste of what's to come: A new trailer has been added to the Download section, featuring actual in game footage. The generals gallery has also been updated." Oct 27, 2001: The Gallery has been updated, with two new sections added: Formations and Generals. Check it out!!! Oct 16, 2001: The Takeda Forums are up and running! Feel free to post any comments or questions you may have about Takeda. All feedback is welcome. Oct 1, 2001: We are very happy to announce that Takeda will be published by Xicat Interactive in the US and Europe and by Mi-Pic in Japan. Sep 9, 2001: Beta Patch 1.06 released. (22.4MB) Please click to download. Aug 22, 2001: Interviewed by Wargamer. Click to view. Aug 13, 2001: New story screen shots animated in Gif format. (2.48MB) Click to view. Aug 9, 2001: Beta Patch 1.05f has been released. You might need 1.04f to run it. Please Click to download. Aug 2, 2001: Beta Patch 1.04f has been released. If you have Beta 1.03 full version, please Click to download. July 5, 2001: Two new sections, review and forum, have been added to the site. June 12, 2001: A new Battle Tactics section has been added to the Features page. The new section covers basic combat techniques and strategies. June 8, 2001: Missing graphics on the Formations page have been added. June 4, 2001: More has been added to the Formations section. Also, a new tactics guide is in the works, and will also have a link from the Features page. May 3, 2001: Overview section and Welcome page updated. New army formation info added to Features section. March 21 - 25, 2001: As a top-ten finalist in the Independent Games Festival, Takeda was presented at the 2001 Game Developers Conference. Wargamer has included Takeda in their 2001 holiday buying guide!! TAKEDA is a real-time war game for Windows 95, 98, 2K and NT 4.0, XP developed by the Magitech Corporation. Rooted in Japanese history, Takeda puts the player in the role of the legendary 16th century warlord, Takeda Shingen.